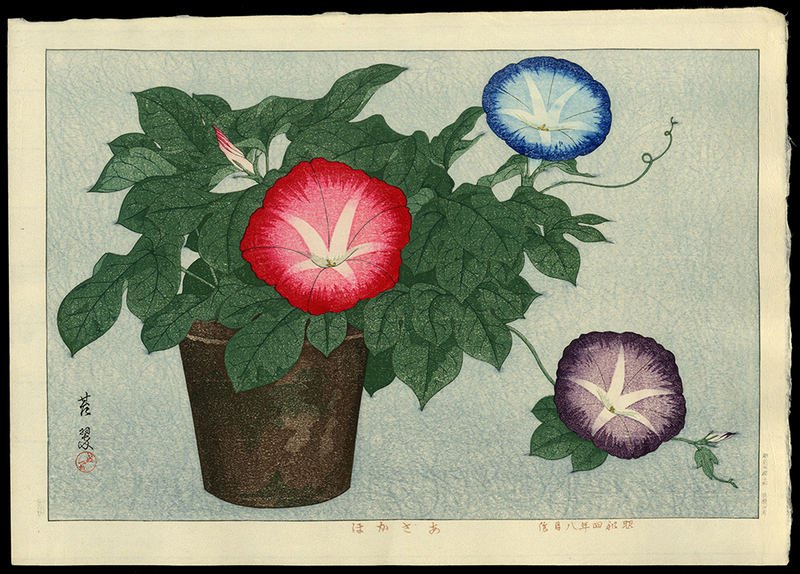 Works include large flower prints in Western style published by Kawaguchi in 1929. On some a round seal appears beneath the signature with Inuzuka written in hiragana. ** Taken in whole, or in part, with permission from: Merritt, Helen and Nanako Yamada. Guide to Modern Japanese Woodblock Prints: 1900-1975. University of Hawaii Press: Honolulu. 1992.